He was also very helpful to Britain during WWII by helping crack codes and German ciphers, but he was prosecuted in 1952 for homosexual acts, which were illegal at the time. He ended up committing suicide (most likely because of these accusations) by ingesting cyanide. Just this week, he was formally pardoned by the British government. 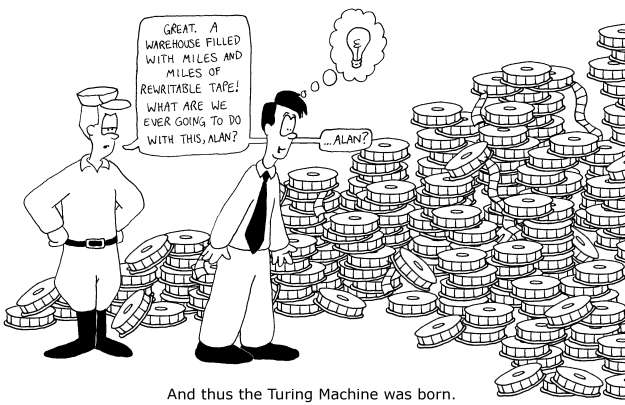 Turing has had a pretty huge impact on the world- for example, the computer as we know it would not exist without him. Although his life ended tragically and prematurely, it’s exciting to see that an effort is being made today, over 50 years after he died, to bring about a little bit of the justice he deserves.